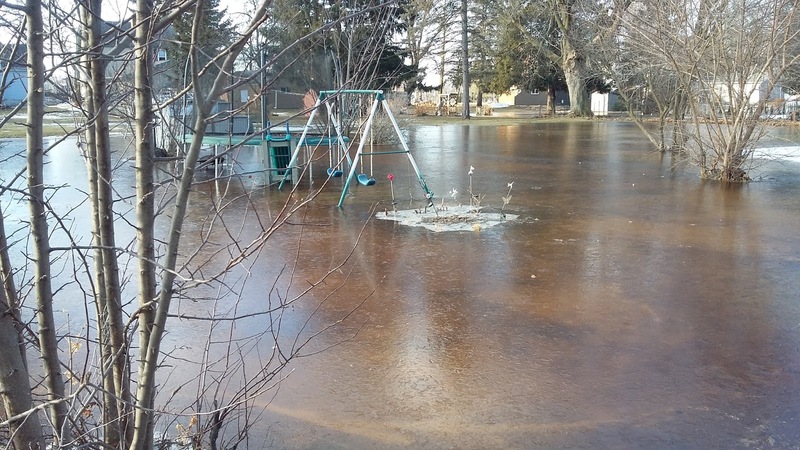 This is what happens when you get a lot of rain while the ground is still frozen. With the exception of a small strip up by the house, my entire back yard is currently a frozen lake. Hopefully, the yard itself will bounce back. I am, however, concerned about the stuff in my shed since I'm sure some of that is currently under water.